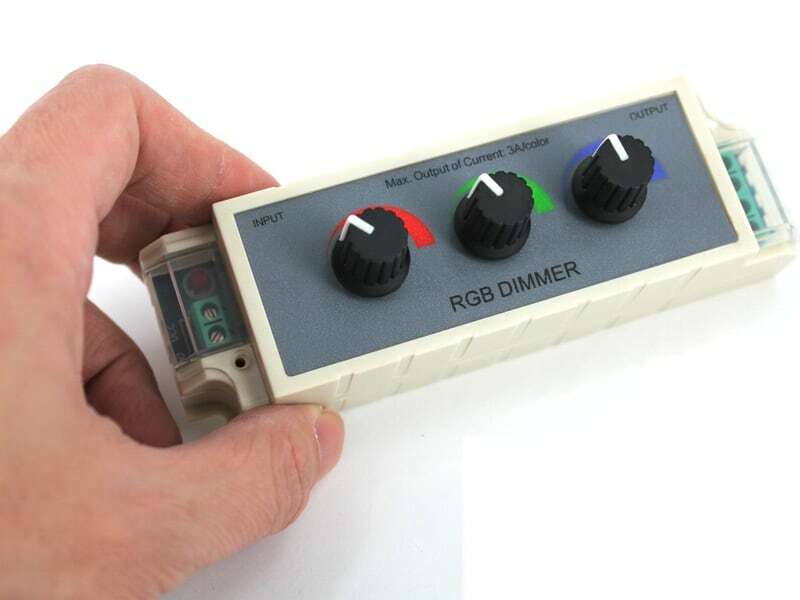 A dead-simple RGB controller. Common positive. Nothing to program, nothing to break. 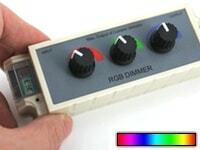 Just three basic knobs, one for each of the color channels: red, blue, and green. Easily hooks up to 12 volt DC (perhaps use one of our AC Adapters, or any 12V battery). 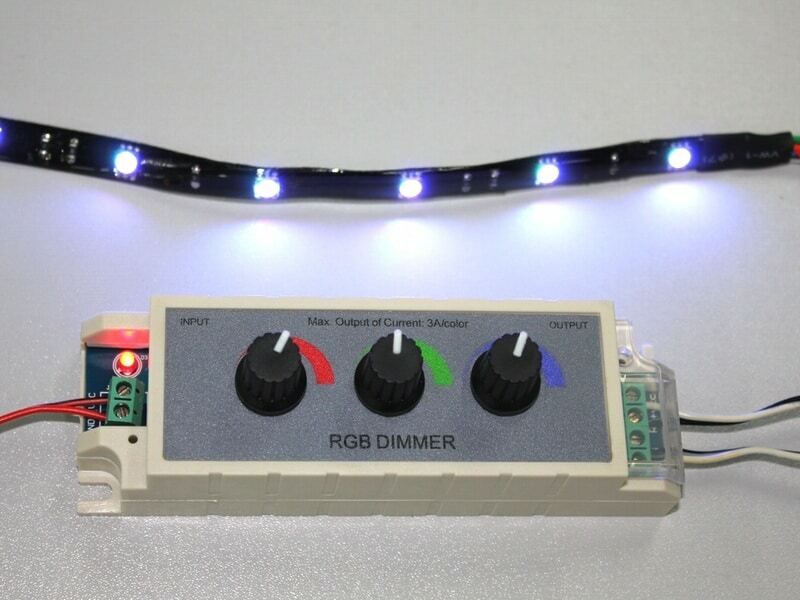 Works great with our Ribbon LED Strips, and pretty much any other RGB product. This is a product I could use for plenty of things. Being a million color person, I like that I am able to change colors freely when i'm starting to get tired of one color. 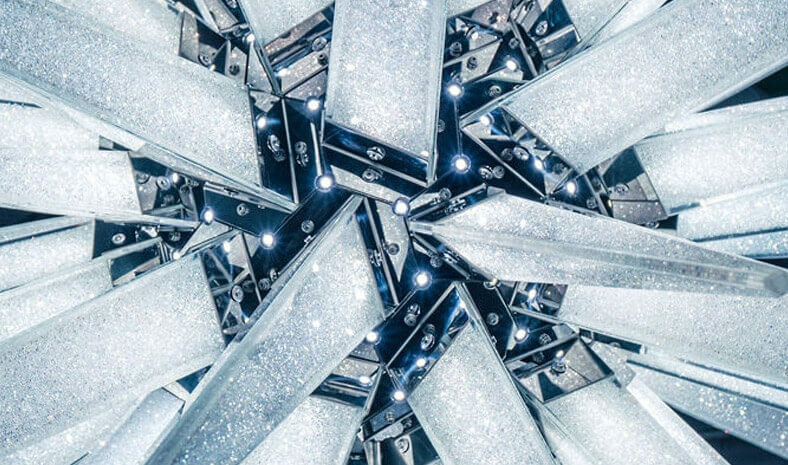 Inside illumination is a PERFECT setting for this, you are even able to use it inside your house. An Idea I have is buying 2 and driving with my local laws "legal underglow" with amber in front and sides, then red in back. With this controller you can find that PERFECT color you're looking for and a color you might not even be able to buy. WELL worth the purchase.